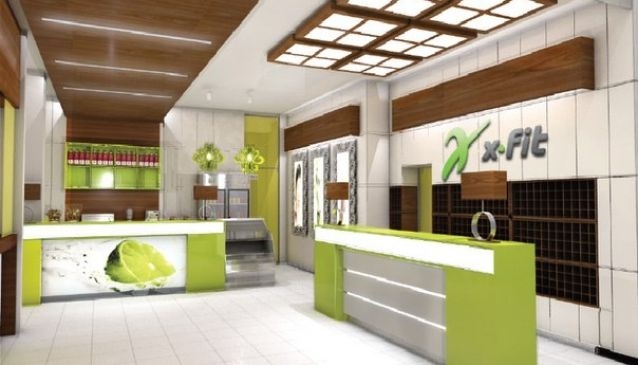 X-Fit is a chain of more than 50 modern, highly-equipped and comfortable fitness centers of premium and business class spread all over the country. One of the basic rules of X-Fit's philosophy is accessibility. You can find X-Fit center close to your house or office and make sport an integral part of your life. X-Fit offers gyms with modern equipment, pools with sea water, halls of group programs, cardio- and combat zones. After hard working on your muscles, running, stretching and swimming in pool, you can relax in sauna, drink fresh in cafe and attend SPA center. The qualified personnel stays always at your service. If you prefer to spend time with your family, X-Fit offers various sport programs, pool and entertainment room for your kids. The fitness center makes special unique offers for its clients every month.